Footy fans visiting the MCG this AFL season are set to enjoy world-class connectivity, with a high-density, free WiFi network as well as improved 3G and 4G mobile network coverage available for the AFL season. The new technology infrastructure transforms the MCG into the most connected stadium in the southern hemisphere and will significantly improve fan experience throughout the venue. The state-of-the-art WiFi network is free, and allows fans to access real-time and interactive content, post and check in on social networks, use apps to check fantasy team scores and stream video – all without tapping into their own mobile data plans. “We are delighted to be able to offer an improved MCG experience for the 2016 AFL season, with visitors able to stay connected wherever they are in the stadium,” said MCC CEO Stephen Gough. Since December more than 50,000 MCG patrons have connected to the WiFi network. Unsurprisingly the longer-form Test matches played over summer attracted more WiFi users and data usage compared to the shorter BBL games - with day one of the Boxing Day Test recording the highest data use to date. “We have received fantastic feedback about the free WiFi throughout the summer and look forward to seeing how fans enjoy the enhanced connectivity during the AFL season. The scale of the WiFi project is on par with the world’s best and biggest stadiums, with more than 227 kilometres of cable installed to enable WiFi connectivity throughout the entire stadium. “This project has involved significant investment by the MCC, and we have worked closely with our partners - including Cockram Construction, IBM and Cisco - to find the most appropriate and long-term technology solutions for the MCG and our patrons,” said Mr Gough. Fans will need to complete a one-off registration to connect to the WiFi when first visiting the MCG for the AFL season – and can simply reconnect on future visits. Those who have connected during cricket season will need to re-register for the AFL season. 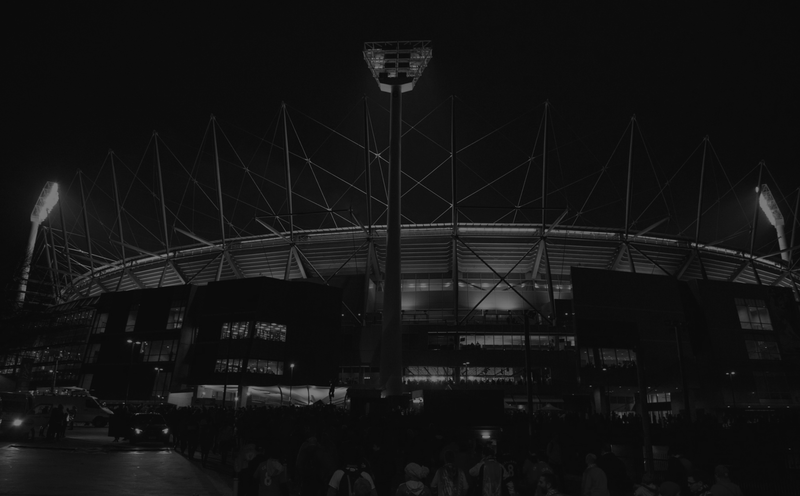 “The design, collaboration and construction of core infrastructure has taken over two years and required an extraordinary amount of technology needed to connect up to 100,000 fans, “ said Mike Wright, Telstra Group Managing Director, Networks. “It’s the equivalent of providing network coverage for Ballarat and Shepparton – towns with a combined population of more than 100,000 people across nearly 400 square kilometres - but compressed within the confines of the MCG. “This will provide spectators with a world-class experience when they use their device from anywhere in the ground, to stream video, browse the internet, upload photos to social media, receive telephone calls and access content on apps,” said Mr Wright. "IBM is proud to have successfully delivered this world-class WiFi network for the MCC alongside our partners Cockram Construction and Cisco,” said Vijay Rao, General Manager, IBM Global Technology Services ANZ. Cisco Systems director, Jonathon Dixon, said: “Fan expectations are greater than ever, mandating a more connected sporting venue that enables fans to share and consume relevant content and services, while engaging with more people from any device, anywhere in the stadium. 1.Turn on WiFi settings on your device. 2.Select MCG FREE WiFi from the list of available networks. 3.A registration page will appear. Enter your details, accept terms and conditions and click submit.